Wittner Flexible Stainless Steel Tailpiece Wire for Cello 4/4 – 7/8. Cable Length 205mm. Overall Length: 297mm. Diameter: 4.0mm. Evidently improves sound, doesn’t stretch, fits snugly and is insensitive to changes in climatic conditions. Wittner Flexible Stainless Steel Tailpiece Wire for Cello ¾ - ½. Cable Length 198mm. Overall Length: 278mm. Diameter: 3.0mm. Evidently improves sound, doesn’t stretch, fits snugly and is insensitive to changes in climatic conditions. Wittner Flexible Stainless Steel Tailpiece Wire for Cello ¼ - 1/8. 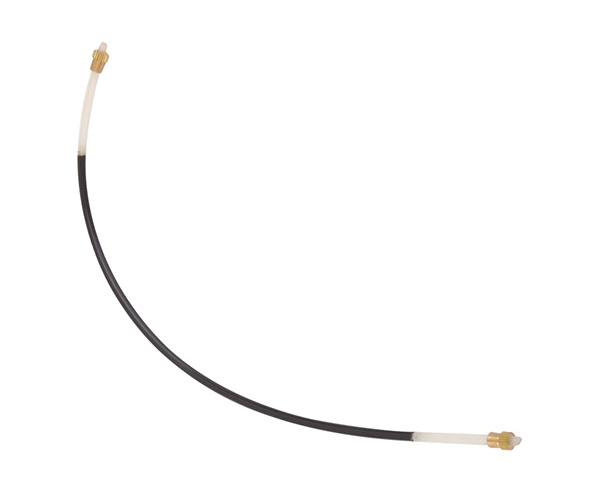 Cable Length 167mm. Overall Length: 247mm. Diameter: 3.0mm. Evidently improves sound, doesn’t stretch, fits snugly and is insensitive to changes in climatic conditions. Wittner Tailpiece “Ultra” for Cello 4/4 – 7/8. 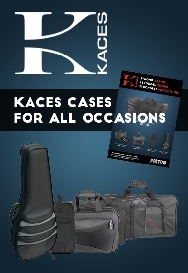 Made of high-tech composite material with 4 string adjusters, black screws and nylon tailgut. Ultra-strong and ultra-light. Wittner Tailpiece “Ultra” for Cello ¾ - ½. Made of high-tech composite material with 4 string adjusters, black screws and nylon tailgut. Ultra-strong and ultra-light. Wittner Tailpiece “Ultra” for Cello ¼ - 1/8. Made of high-tech composite material with 4 string adjusters, black screws and nylon tailgut. Ultra-strong and ultra-light. 4/4-7/8 Cello Tailpiece - Alloy by "Wittner" Light alloy tailpiece with inbuilt string adjusters. Individually packaged with quality nylon 'gut'. Made in Germany by Wittner. 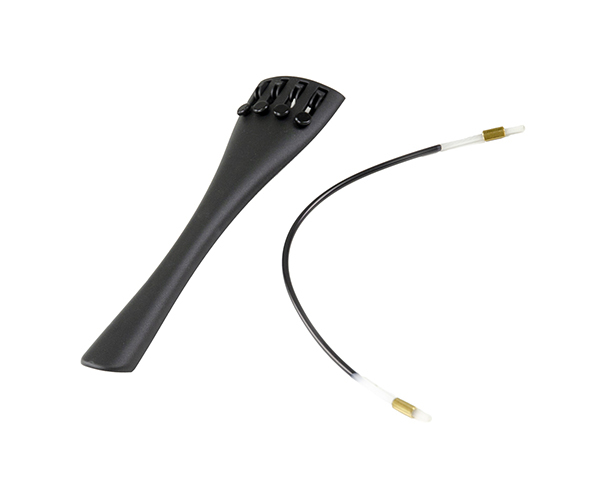 Ultralight tailpiece-cello-wittner 4/4-7/8. The Wittner Cello Tailpiece is made ultra strong, and out of ultra light "space age" synthetic material. 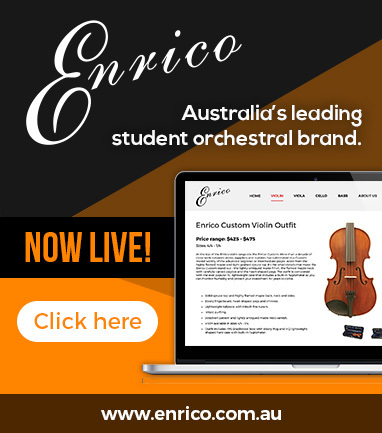 It does not come with any string adjusters, but does come with a tailpiece adjuster. Ebony Cello Tailpiece. French model. 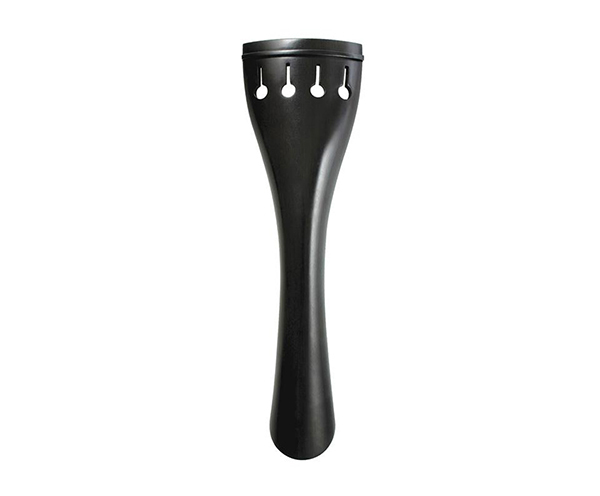 Ebony Cello Tailpiece. French Hollow model. 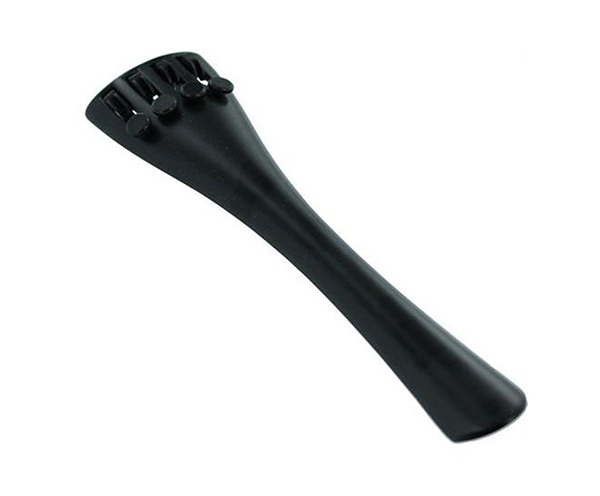 Ebony Cello Tailpiece. Parisian Eye model. Ebony Cello Tailpiece. "Hill" style w/gold fret. Boxwood Cello Tailpiece. Tulip model. Rosewood Cello Tailpiece. "Hill" style with white fret. 66x14x14 Unfitted Cello Tailpiece Saddle. Nylon Tailpiece Gut - Standard German. Black threaded nylon gut. Made in Germany. Length: 320mm. Thickness: 3.5mm. 4/4 Nylon Cello Tailpiece Gut by "Wittner" Heavy duty stable threaded nylon gut. By turning the locking screws you can lengthen the gut by another 3mm. Made in Germany. 3/4 - 1/2 Nylon Cello Tailpiece Gut by "Wittner". Heavy duty stable threaded nylon gut. By turning the locking screws you can lengthen the gut by another 3mm. Made in Germany. 1/4 - 1/8 Nylon Cello Tailpiece Gut by "Wittner". Heavy duty stable threaded nylon gut. By turning the locking screws you can lengthen the gut by another 3mm. Made in Germany. Natural Cello Tailpiece Gut - German. Premium quality natural gut. 1.8m x 2.6mm.